I imagine it like the kind of sound a flower might make, just as it prepares to crack open the bud. I did all I felt I could to encourage the relationship to grow… to come with me… but it became clear to me that that wasn’t a possibility… not in the way that my growth was calling me. There’s a saying: “Be careful what you wish for”… but I knew that. The life of a growth seeking being is not about maintaining stability. It’s not about settling for ‘normal’. It’s rarely about security, striving for or subscribing to the known. While these things things are welcomed as passing phases, growth requires chaos, destruction, dissolving, profound not-knowing. A tree get’s its rings from seasonal growth cycles… In spring and summer it expands, which create its thick light rings. The thin dark rings come from autumn and winter, where the leaves have fallen and all appears dead. The energy of the tree comes inward, the growth appears to slow, and deep inner preparations are made for the coming spring. I was under no illusion, that looking for growth would take me to my edges. After all, it’s only by going beyond your edges that you enter new territory. Growth, of course, happens all the time. 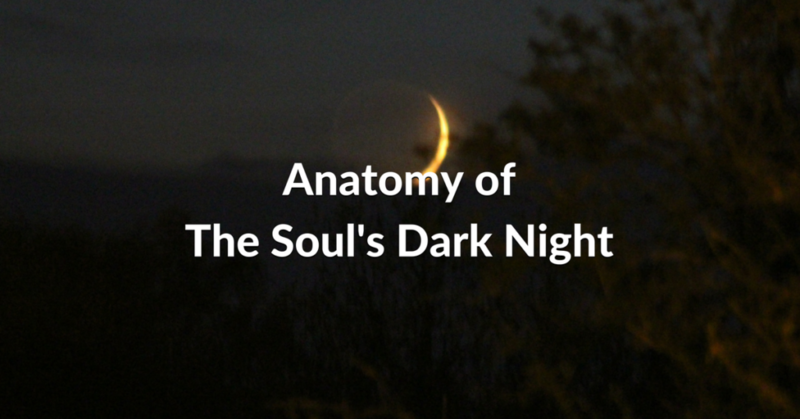 But sometimes a deep Soul prayer will take you into a deep dark night, and I have seen that there are specific qualities in that process which I would like to share with you here. I must give credit to my colleague at The Inner Journey Clinic, Marion Young (no relation) who earlier this year helped me realise I was experiencing a dark night. It’s her framework (for the most part) I’m borrowing here… with my own twist and experience too. My Advice for Stage 1: Make the most of this time. On some level you’ve earned it – it’s blossoming time. Be available to the signs of winter coming if they do, but be present to the joy of now. The Fall is a crazy time. It can feel as if the rug has been pulled from under you. It’s a time where what has been known falls to pieces and there’s nothing to cling onto. Any attempts to maintain what has been can cause a great deal of pain and suffering… still it seems to be a natural human urge for us to try. My Advice for Stage 2: As much as you can, embrace the fall. NPA can really help smooth the road here, as you let things go. 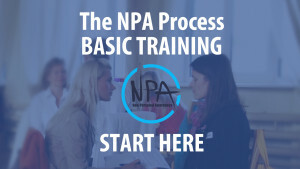 In the same way that NPA has enabled some women to have swift and (in some cases) pain free child bird experiences, it can help you NOT cling and hold on as much – which is where the excess suffering can occur in this stage. There comes a point where you realise there is nothing you can do. You are in the deepest darkness. During this stage there can be a loss of hope and trust, a sense of disillusionment. It’s a time where you (at a personality level) are choicelessly experiencing the deepest pain… the shadow. Feelings of shame, unworthiness, hatred (directed both inward and outward) can surface. And no matter what technique or approach you throw at it… any attempt to ‘fix’ it fails. This is a time of pure experience. Living through it is the only option. My Advice for Stage 3: Give yourself FULL permission to be in it. Experience IS the point of this phase. You are literally LIVING the ‘stuff’ out. Reframing, processing, digging etc. can actually ADD suffering to the equation here. It IS really helpful however to get support from someone who can remind you to just be. A lot of times in my practice, my job is to remind people to stop and just be, rather than charging in with analysis and process work. My Advice for Stage 4: Engage in LOTS of self care and rest. The support of family and friends can be very important at this time. But come out slowly… don’t force your pace. A wise lizard knows not to go running straight out into the desert when its skin has shed. It waits for the expansion and some solidity in its new skin before venturing out. Suddenly it IS time to emerge! An inner shift happens and your energy returns and it’s time to experience yourself anew in the world. It’s a time of discovery, where the impact of what has taken place can be determined and understood. Only once you have ‘lived’ the new you do you really understand the whole process. This is when you can begin to celebrate the process and truly appreciate the purpose and benefit of the experience. My Advice for Stage 6: Let this understanding land in it’s own time. One of the things I see a lot with folk in the personal growth world is a rush to see the lesson in it all. In the dark night, necessarily, the earlier stages keep you ‘blind’ to the lesson, so give it time to ripen, and let it fall from the tree in its own time. The Dark Night can be a tough time, full of confusion and lostness. You are meeting a fundamental aspect of your shadow, which ultimately grows you into something much greater. I hope by laying out this map of the journey it helps you recognise if you (or someone you love) are in the process of the Dark Night of the Soul and you can move through it as resistance free as possible. « Are You Willing To Be An Inconvenience? Joel, this is so right-on and very beautifully written. Moving through these stages, as naturally as they progress, is quite hard to find oneself in, yet there is no other way, or there place we can be once we’ve arrived at each stage. It seems to me that at some point, we surrender to the very stage we’re in and only then do we embrace its lingering and its passing. I find myself at the threshold between dawn and rebirth these days… Thank you for this concise blog; it is one I will return to. So grateful our paths are crossing. I found all of your info very interesting and am wondering if this is what I have been experiencing. Just a deep sense of loss and pain,following a string of trials and deep disappointments. I feel that what once defined me, and gave me a sense of courage and self-confidence, is gone. Among all of the other losses, I’ve lost me! There is no one that I can talk to who would understand. I have tried. As I move forward, day by day, I am hoping that my prayers will be heard. I pray for deliverance, and if not deliverance, I ask God to allow me to meet another soul on this journey who understands what I am experiencing.